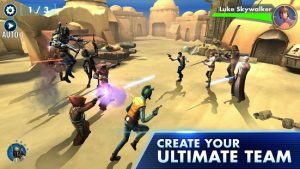 Star Wars Galaxy of Heroes : Collect your favorite Star Wars characters, like Luke Skywalker, Han Solo, Darth Vader, and more, from every era – then conquer your opponents in epic, RPG-style combat. 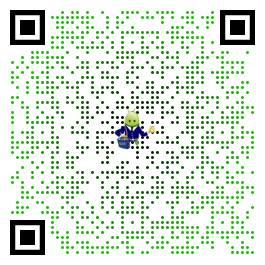 Build mighty teams and craft the best strategy to win battles across iconic locations to become the most legendary hologamer in the galaxy! Great game but… I really do love this game since I am a huge fan of Star Wars but there are a few missing features in this game such as the characters. Why isn’t Luke Skywalker or Han Solo in the roster? Also the Squad Arena Battles are almost impossible to win now ever since the last update and the Galactic war battles are very unpredictable since you may encounter a higher levelled enemy or stronger than your characters. Thanks for the great review, Steven. Stay with us. More characters, features, and improvements are on their way! Constantly hangs and fails to load. Other than that it’s a pretty good game. Hi Nathanael, we appreciate your feedback and plan on improving PvP in a future update. Hopefully, we can earn back that extra star!